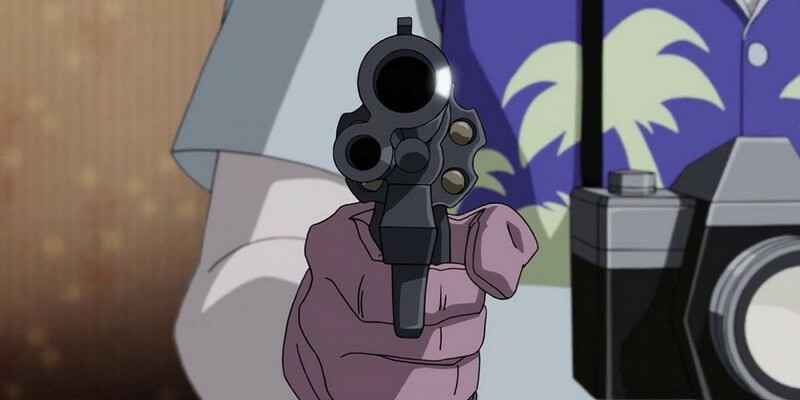 I’ve seen a lot of disheartening stuff online in the last few days over DC’s latest animated release The Killing Joke. People are panning it left and right complaining about the way it portrays Batman, Batgirl, and several other characters. 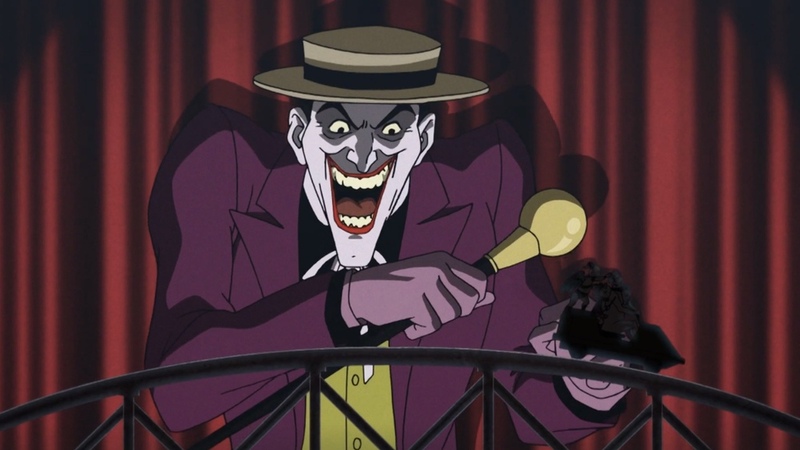 In fact, despite being one of the most profitable animated releases from the comic book titan, it seems that Batfans are up in arms over some of the most piddling and seemingly inconsequential plot points and devices. Now, before you go any further into this article you need to know two thing about the story. 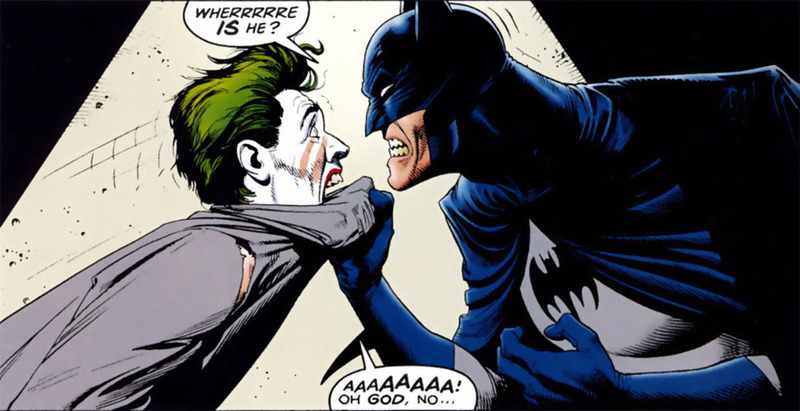 First, The Killing Joke is a 1988 one-shot storyline offering some emotional insight into the character of the Joker. Second, since the largest portion of the film is almost a panel to frame reincarnation, I am not going to try and protect you from spoilers so, be warned, if you go any further you are going to learn some intimate details about the film. I first read The Killing Joke in the late 90’s hiding out in the book section of the now extinct Media Play in Hickory Hollow. It was incredible. 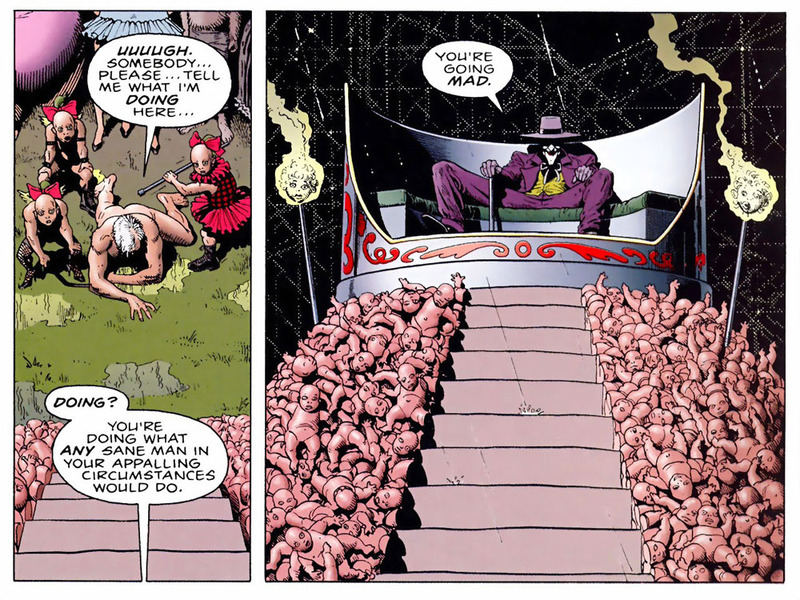 Alan Moore and Brian Bolland did something that no one else had done, had ever thought of doing. For the first time in his history, someone was trying to bring a touch of humanity to the Joker. Opening with Batman sitting down in a cell at Arkham Asylum where the tag on the door ominously reads “Name: Unknown” we find him uncharacteristically shaken. Across from him is a familiar silhouette whose bleached white hands are the only thing visible as he plays solitaire in the dim light. The reason is made immediately clear as Batman tells a strangely placid Joker that he’s come to try and make peace, to talk and try to convince him that they can resolve things before they’re too late, before they kill each other. Thinking he’s being ignored by the Clown Prince of Crime’s continued silence, he grabs the man only to find out that it’s another person in costume occupying the cell, a decoy who has allowed the Joker to escape. Meanwhile, the Joker has begun the process of turning an abandoned carnival ground into the setting for his most spectacular show yet. He intends to prove to all of Gotham that even the sanest man alive can be driven to the brink of madness, to his level of madness, in a single night. It’s a twofold plan as he also intends to prove to Batman the two of them are no different from one another. To this end, he paralyzes and sexually assaults Barbara Gordon before kidnapping her father and subjecting him to psychological torture in his funhouse from hell. Throughout this descent into madness, the Joker also relives what bits of his past life that he can remember. From the loss of his pregnant wife in a tragic accident to being strong-armed into an attempted robbery under the guise of the mysterious Red Hood which led to his first encounter with the Batman and the accident that resulted in his transformation into the Joker. While never revealing his true identity, perhaps because it was lost in the haze of tragedy and insanity that swallowed him whole, it humanizes and otherwise unlovable character and creates empathy for him. The reader learns that all it takes is “one bad day” to turn even the sanest man into a monster. It’s an incredible story from start to finish with artwork and coloring that catches the eye and creates an immersive and gripping atmosphere. So, let’s move on to the film, shall we? To start with, let’s look at Batman: The Animated Series from the early 90’s. This cartoon interpretation of the long-running comic book series is often hailed as one of the most true and accurate interpretations of the characters and stories short of actually picking up a comic book and reading. It introduced an entire generation to the characters and ideas of the books and even introduced us to new characters such as the Joker’s top henchwoman and love interest Harley Quinn. When it was announced that Kevin Conroy, Mark Hamill, and Tara Strong would all be reprising roles from the animated series, a lot of us got excited. 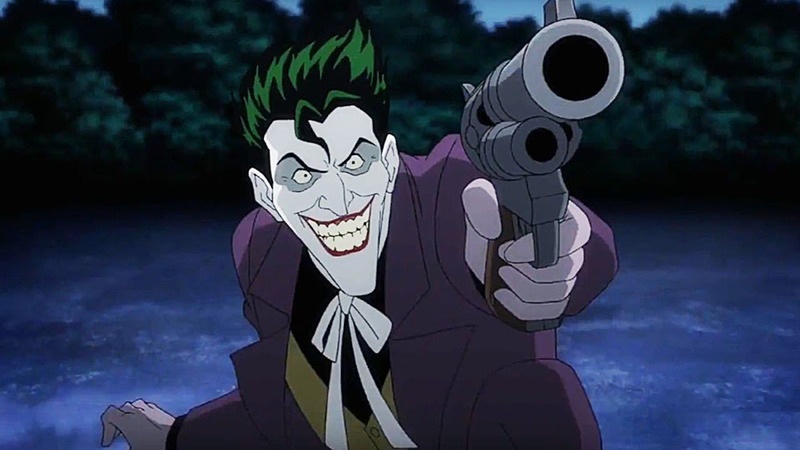 In my opinion, Mark Hamill is single-handedly the greatest Joker of all time, bringing both the raw intensity and, at times, a sort of disarming softness to the character. But enough fangirling from me. The Killing Joke itself is epic but, unless you know some of the history and backstory of the characters in the book, it seems a bit of overkill. I mean, sure, abduct Gordon and torture him but why abuse and cripple his daughter? The one-shot nature of the book needs some additional narrative, some back story, in order to lift it from the page to the screen. The writers for the film adaptation chose to create that by having Batgirl dealing with a young man, a mobster with a sort of familiar sociopathic mien that diehard fans initially recognize. Batman tries to protect her, tries to keep her from stepping into the “abyss” as he calls it. There’s a lot of foreshadowing in the relationship and in the way he explains to Batgirl that the last thing she needs is for a violent criminal to feel as if he has some deep, personal connection to her. She ignores this warning and almost ends up the victim of this madman. She also develops an intense relationship with Batman and, when the man she loves and the man she’s hunting collide, she realizes she can’t continue to protect her city when all she can think about is one person. Let me go ahead right here and address the major complaint I have heard from every single Batfan I’ve talked to. In the comics, cartoons, and every other story short of those weird, creepy fan fic eroticas that appear from time to time, Batman has always been a mentor and father figure to Batgirl. He’s always been a teacher and a guiding hand and the fact that they had, essentially, a one night stand on a rooftop in the film has caused everyone to lose their minds. I get it, I really do. But the saving grace of that the situation is that it is, and always has been a one-shot. There isn’t going to be a Killing Joke 2: The Clowning. You’re not going to see Bats in Heat hitting Netflix in the fall. The point was to open this up to more than just the diehard fans, to open this world to everyone and help them understand the meat of the story they were watching. If you aren’t familiar with Batman then the story would have seemed like something torturous and almost senselessly depraved at times. 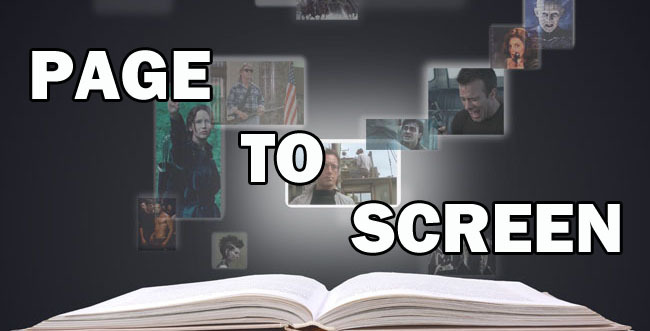 Instead, the first thirty minutes created something that helped you get into the characters, to emotionally connect and build a bridge for those who have never picked up a comic book but somehow ended up in that theater or sitting in a friend’s living room watching it. Now that the unpleasantness is behind us, take a breath and realize that instead of destroying something you love, they’ve brought it to life. It was amazing to hear Batman pleading with the Joker, trying desperately to end their feud, offering to help rehabilitate him. Moreover, the imagery was incredible. One of my favorite scenes was when the lights came up for the first time in the carnival and you see this look of childish delight in the Joker’s face. It wasn’t the usual malevolent, plotting sort of wicked smile we’ve come to see in the character; rather, it was a true innocence, a moment where the humanity that still resides deep inside the otherwise unlovable villain appeared and allowed the audience to realize that this violent archetype was actually a man once. Even in the scene where he cripples and molests Barbara Gordon, the way that Hamill voices the line “To make a point. Here’s to crime,” he doesn’t sound as jolly and twisted as you probably voiced him in your head when you read it the first time. Instead, it sounded almost like he was desperate, like he was doing something he didn’t really want to do but felt he had to do in order to make his point. Yeah, there may be a little more sympathy for the Devil there than what was intended, but you can’t help but sympathize. 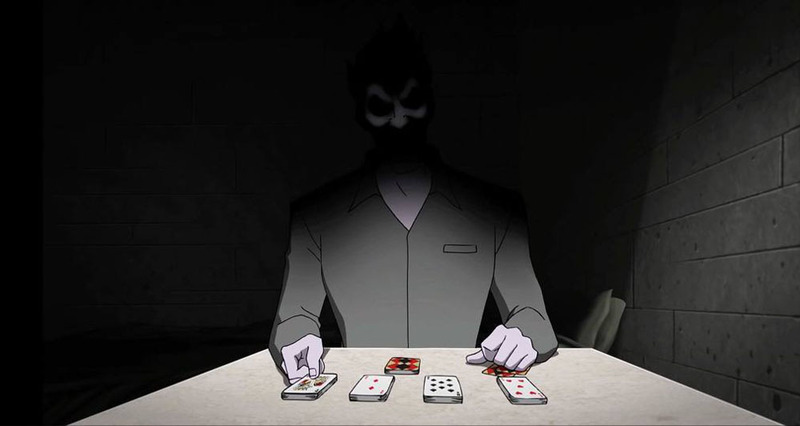 Comic or cartoon you’re watching the man inside the monster struggling to remember his past and, as he says, “If I must have a past, I’d prefer it be multiple choice.” I mean, nothing justifies the actions and atrocities of a villain, especially one as prolific in his work as the Joker. But, every story has a beginning and it brings to light the central point of both the original incarnation of the tale as well as the updated, animated version which is that every man holds a monster deep inside them. Madness was his escape, the only way to save himself from the horror and tragedy that swallowed him whole. He recognizes that there is genuinely no hope of ever being sane, ever being the man he was ever again. Even with Batman’s help he tells him that it’s far too late to save him and that brings a bit more tragedy into a character who, until the story was first penned, had simply been a bloodthirsty lunatic. 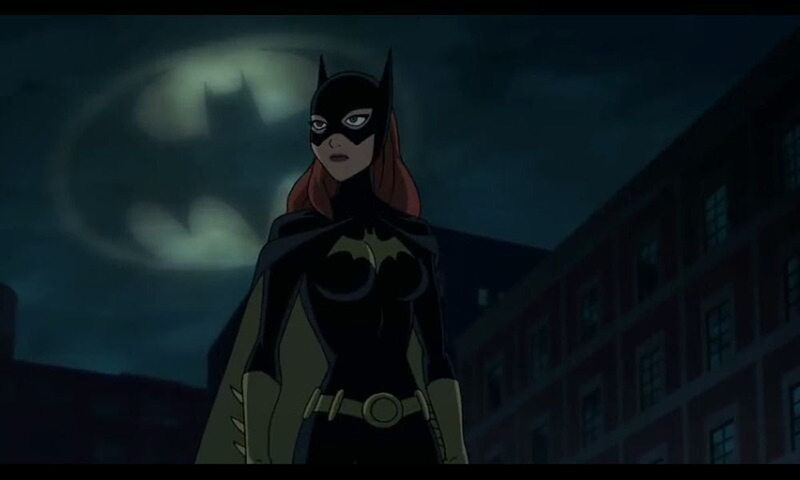 If you can get past Batgirl boffing Batman, if you can accept that a secondary story had to be written to help welcome in new viewers for the first time to this world and accept that these characters and their universe is very much still evolving and changing just like the audience consuming it, then you might just find yourself enjoying it. I mean, we could all stand a little madness once in a while.